Limited Edition Letterpress Print, 8 x 10 inches. 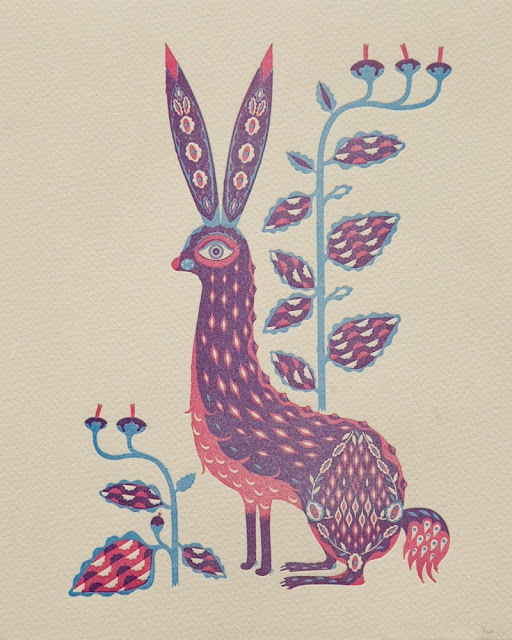 A charming print by the master of folk art inspired imagery from Finland. Klaus brings to this print a wonderful sense of the mystery and magic of nature, it's not hard to imagine the Sami gods bringing forth this exquisite creature from the frozen Tundra soil. Klaus Haapaniemi is a Finnish artist and designer living in London. He has created garment prints for Diesel, Levis, Marimekko, Dolce & Gabbana and Cacharel. Klaus also worked as Creative Director of Italian fashion house Bantam, published a book ‘Giants’ with Finnish author Rosa Liksom, and created his series Taika for Iittala. This beautiful 10" square handmade picture features lots of grass and foliage photographic hearts. 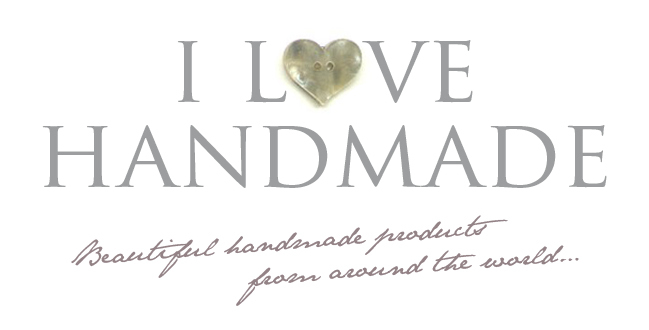 It can also be personalised with initials and dates and would make a fantastic wedding gift. Ideal for birthday, wedding, housewarming presents, or just to remind you of the seaside wherever you live. Each beach hut is hand cut from wood offcuts, handpainted, varnished and finished with a flag cut from vintage fabric remnants. 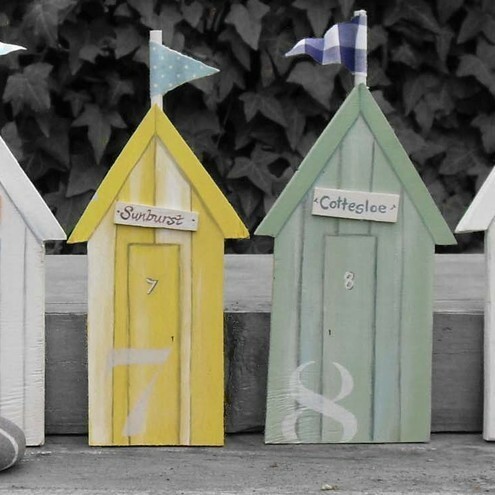 Each hut is unique – choose the colour, name and number to create your perfect beach hut. perch! is the design work of amy adams, she makes beautifully simple and functional products that will add a touch of fun to your home. 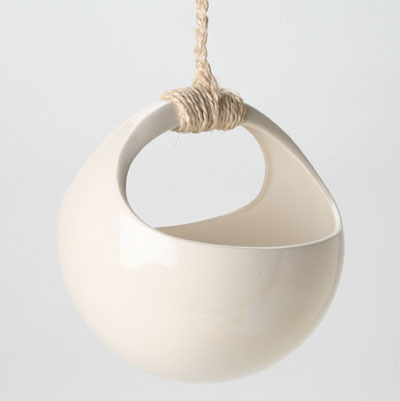 PLANTORB is an 8" diameter white ceramic orb that hangs from an adjustable 28" long woven sisal cord. It's designed to display your favourite little houseplants beautifully! This little Boston Terrier brooch caught me unawares. It stared at me from the screen. It held me in it's gaze. It won the no-blinking competition! Fantastic felt brooch from Fox Bunting (two young crafters from Leeds, UK). Individually handmade and glazed blue porcelain buttons, high fired to stoneware temperature, and waiting to be the finishing touch for your latest project, or maybe to give new life to an old piece. Made by hand forming discs of porcelain and then stamping them with handmade stamps. They measure approximately 1 1/4" by 1/4" or 32mm by 5mm each Each piece is made and glazed individually no two pieces are ever identical. 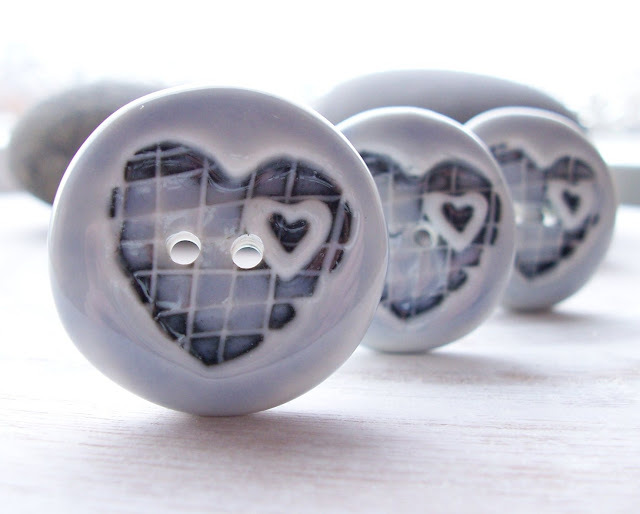 High fired porcelain is more durable than you may think – these buttons are machine washable. "You're too old to lose it, too young to choose it..." A truly unique glass pendant to suit your dark side. 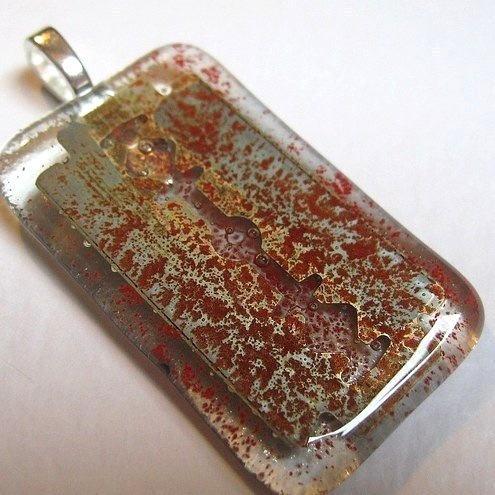 This pendant has a razor blade and red enamel powder (no, not blood) fused between two pieces of glass. It measures 5.5cm x 3.5cm and has a silver plate bail attached. Designed and made by Glassprimitif in Yorkshire, UK. Mmmm tea and Jaffa Cakes! 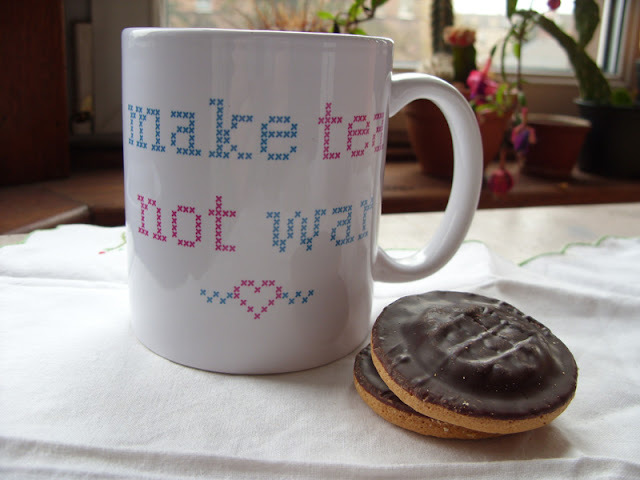 This fantastic mug has been printed with Miso's Make Tea Not War cross stitch design and would make every brew special! Both sides of the mug are printed – so no matter if you’re left or right handed, you can still slurp in style! This beautiful stainless steel pendant from Anna Corpron of Brevity comes on a sterling silver chain. This necklace hangs right at the nape of your neck and comes with a 2" extender chain. 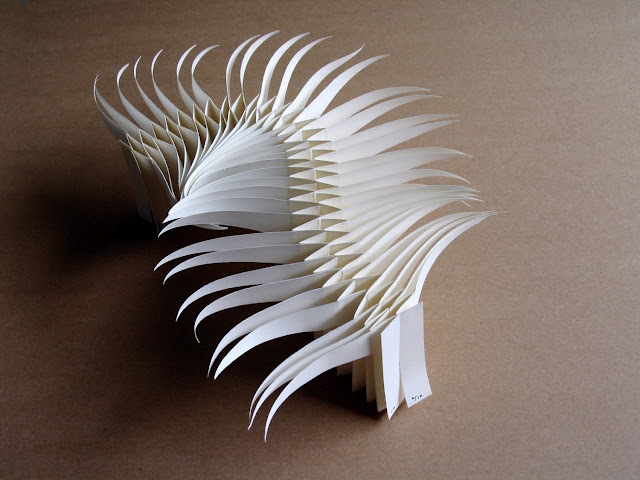 A stretchy bendy flexible spine of a book. Inspired by folding over and over, by repetition and simplicity, by the wing of a bird…Measures 6 x 16cm (2.5 x 6") when closed, stretching to 70cm (28") long in it's various positions. Comes alive in your hands. One of an edition of 10. 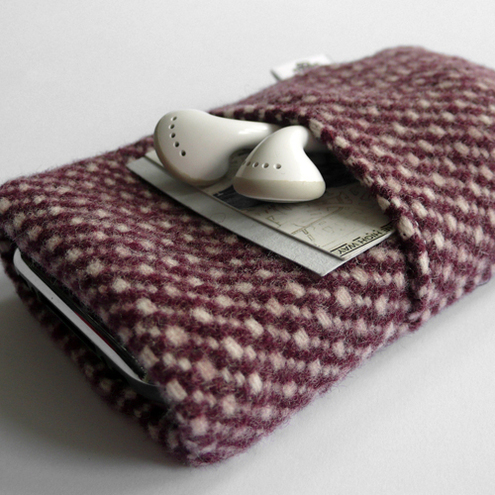 This eco friendly, upcycled case started life as a woollen jacket. It has a pouch that you can comfortably fit headphones as well as cards in. Nice and thick to make your iPhone feel all snug! Perfect for protection against scratches and other marks. Can also be made without the headphone pocket too. An original hand drawn design on lightweight plastic. 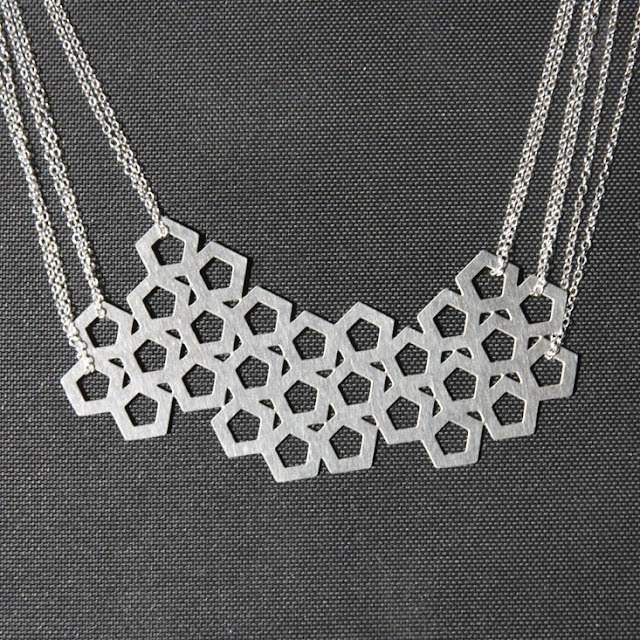 The total length of the necklace is about 16 1/2" and the design measures 5 1/5" by 2 1/4". Big and bold but light as a feather and hangs from a really cool swirly gunmetal chain. Original art with which to wrap your thoughtful and amazing gifts. 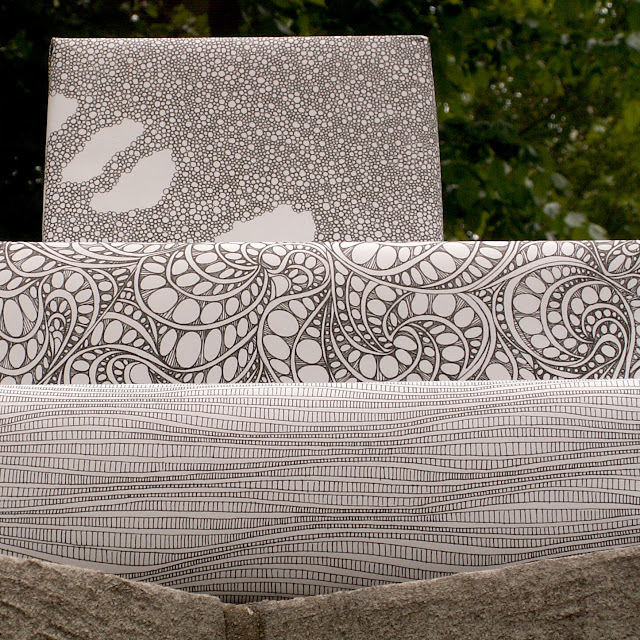 Make yourself and your presents look fantastic with Loop’s eco-lux wrapping paper. Printed in Philadelphia using soy inks on FSC-certified, 100% post-consumer recycled, processed chlorine free paper. 20" × 30" sheets. Choose from: EON : wavy lines, POLIWOG : little circles / bubbles, EM : swirls with interior circular pattern. Beautiful! King Arthur, the mythical 6th-century British king. 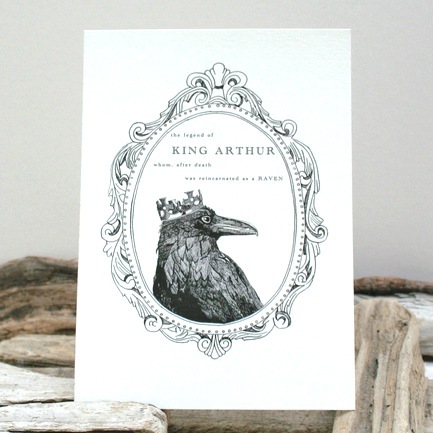 One recurring aspect of Arthurian literature was the notion that he would one day return as a raven. The raven is a bird strongly associated with myth and legend. In Wales and the West Country, it was held to be a royal bird. After having researched King Arthur, Old Wives Tale was delighted to discover the strong links he has with Castell Dinas Bran (translated as Crow Castle) an apparent resting place of the Holy Grail. Not only does this illustration celebrate the magic of King Arthur, it was also created at the base of Castell Dinas Bran, where Old Wives Tale calls home. 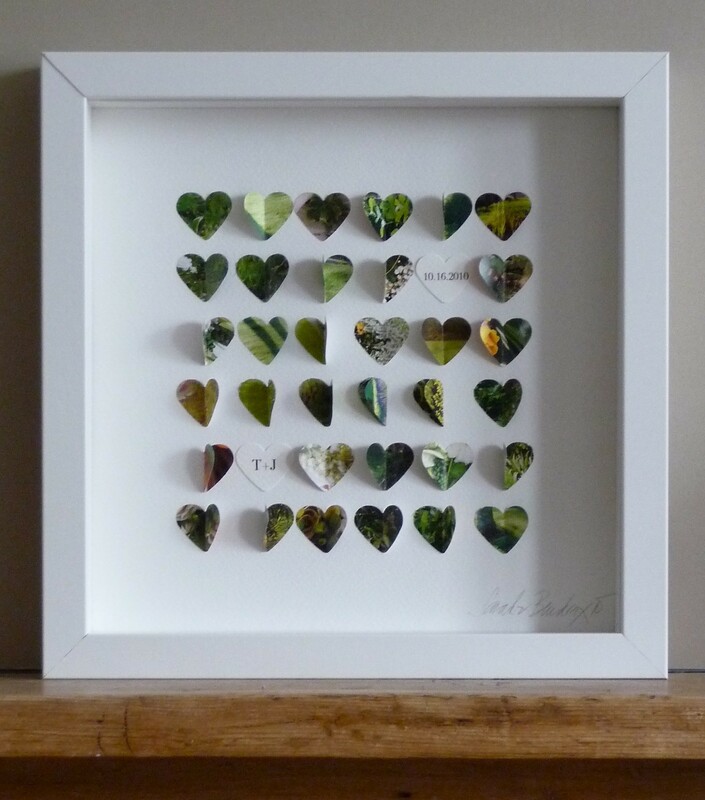 It looks beautiful in a simple frame but would look magical in a vintage antique frame too. Here's a little something for all you bunny fanatics out there – you know who you are! 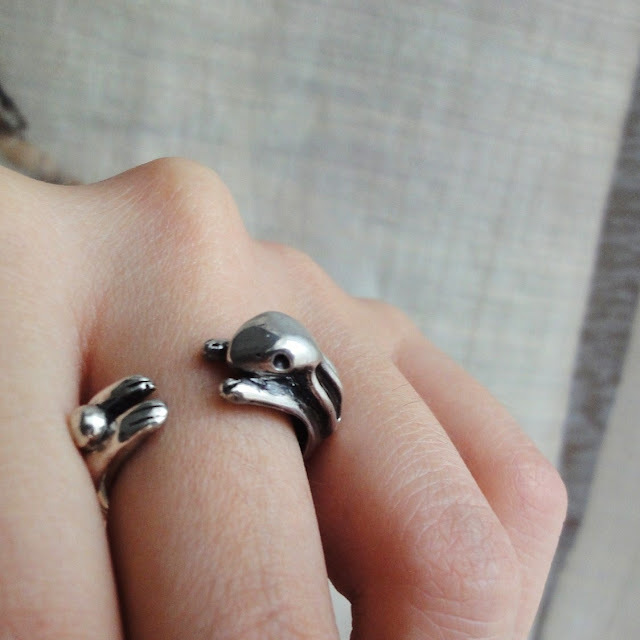 A fantastic adjustable Hug Me Bunny sterling silver ring. Part of the Hug Me Tight animal collection, this little rabbit will cling on and look cute all day! Also available in shiny golden brass. Have your cake & eat it too! 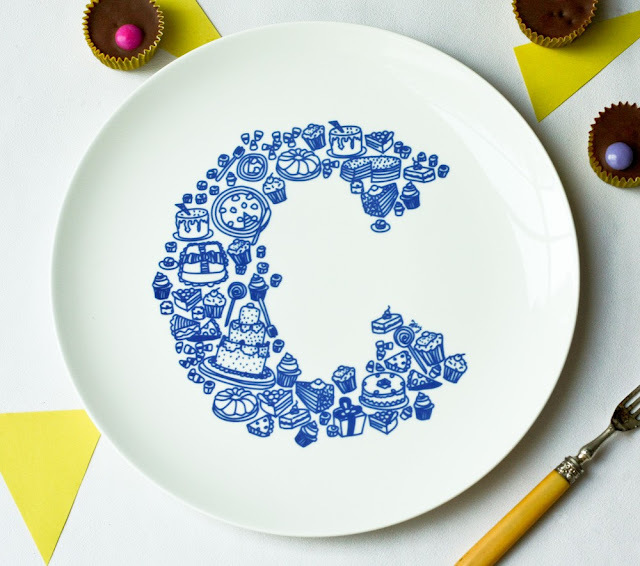 This fun Alphabet plate is part of a series of hand illustrated type, created from drawing different food types corresponding to each letter. Get your own initials, spell words to decorate on walls or collect them according to your favourite food! These plates make really good wedding presents too! Perfect for any food addict! Transfer on Fine Bone China. Diameter: 28cm. Also available in Black. Dream Big Little One. This cushion cover is hand screen printed on a heavy natural linen/cotton mix and handmade at Robin & Mould's Wiltshire studio. It's printed using waterbased ink in a rich teal with a pure linen dark navy blue back and finished with a concealed zip. 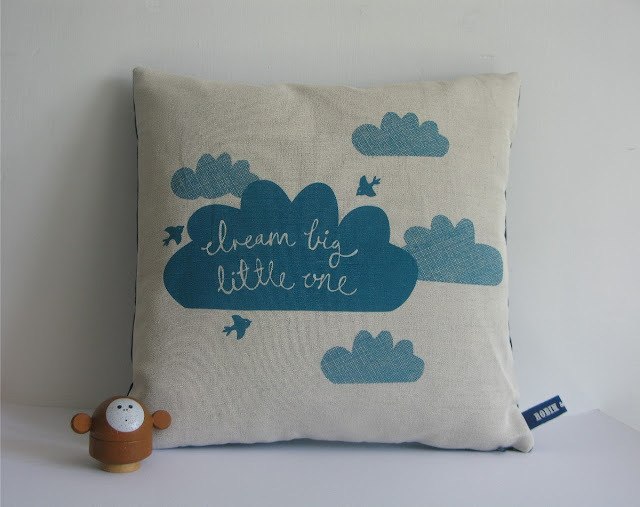 Each cushion cover is made to order and, due to the nature of screen printing, completely unique. Swirlyarts is the home of the original Cheeky Chicken! 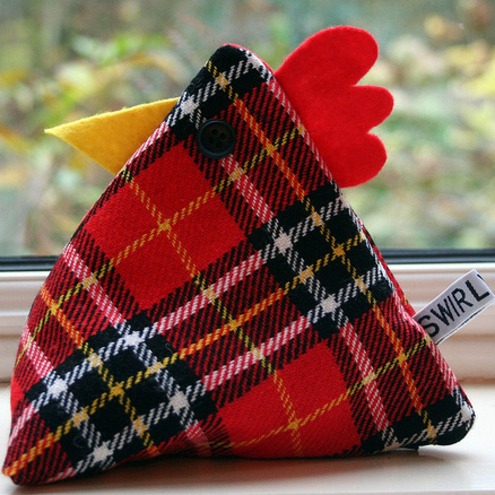 Meet Hamish McPlaid – a very cheeky chicken doorstop! He is very proud of his Scottish heritage and wears his tartan with pride. Hamish has been stuffed with rice for his photo shoot but he will come to you flat with a handy zipper on his bum so that you can fill him up with rice, sand or beans. He has bright felt details and buttons for eyes. He measures approx 14cm (6in) tall and 15cm (6in) wide. If Hamish McPlaid isn't quite to your taste, you can also commission a custom chicken in your favourite colours. 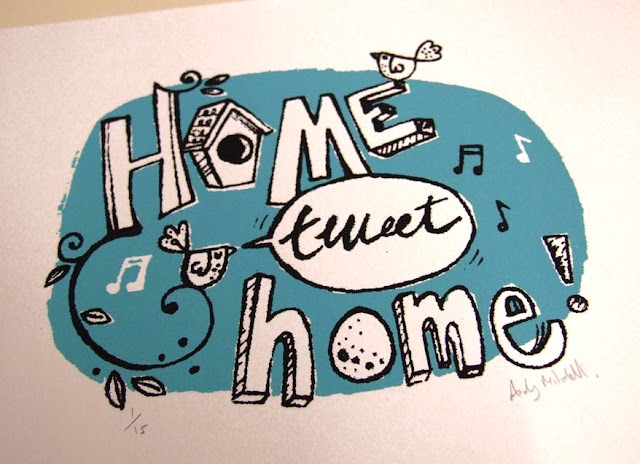 Two colour screen print, printed on Arches 185g Watercolour paper. Limited to an edition of just 15. Print size 160mm x 120mm, paper size 280mm x 190mm. Each print is numbered and signed on the front, and has a Custard4gravy stamp on the back. 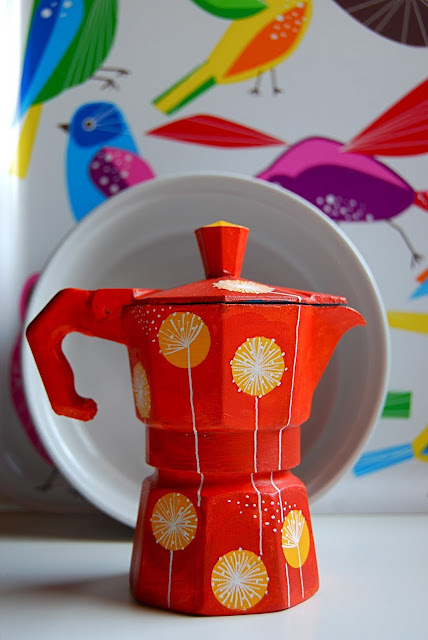 Up-cycled Italian coffee pot (Moka), hand painted with acrylic paints and inks, finished with a matt varnish coat. Each item is one of a kind. 5 inches high by 3 inches wide. No longer suitable for coffee brewing, these stunning up-cycled Moka make a fantastic decorative item in the kitchen! Why go through life just following the herd when you can be as daring and bold as a lion. Sure it is easier to be like the majority of people and be told what to think and do, but to think for oneself takes courage. 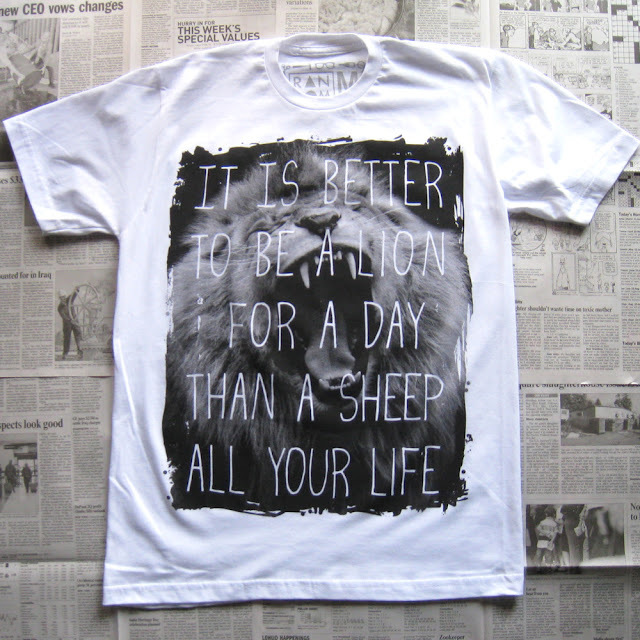 Stop following the flock and be a lion! Yet another fabulous tee from Random Objects, and brand new yesterday too! Printed on American Apparel 2001 tees. Manufactured in the USA, and sweatshop free. This beautiful ceramic vase was thrown on the wheel. Elegant and modern and a fantastic colour! Will brighten any room. Approximately 6 1/2”H X 6”W. 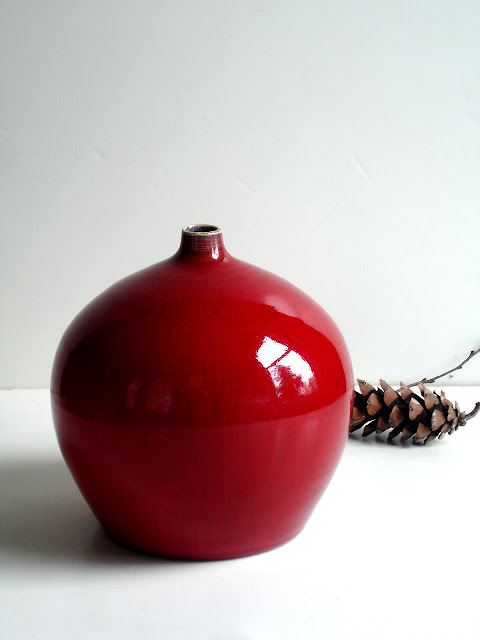 New Moon Studio are based in Rhode Island, USA and create soft, organic pieces typified by this delicious vase. Fantastic! Beautiful colour linocut from 1970. 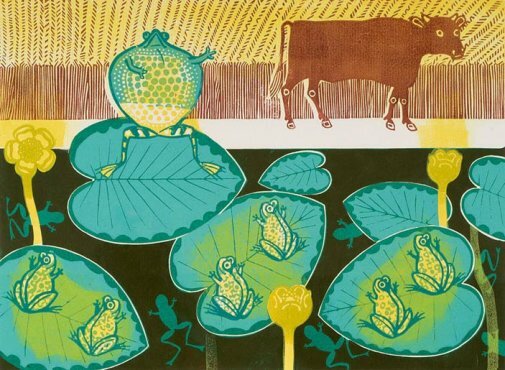 In the 1970’s Edward Bawden made a series of prints based on Aesop’s fables. The frog, with feet firmly balanced on the water-lily, puffs himself up to twice his normal size. He points towards a passing Ox and, boasting to his companions, suggests that he, too, can be the size of this Ox. His companions doubt this, and with each puff deny that he has yet reached the Ox’s size. Determined, the Frog continues puffing until, finally, he bursts. The moral? Rather than imitate others, be true to your self. Size: Image 30 x 42cm; paper: 42 x 51cm. 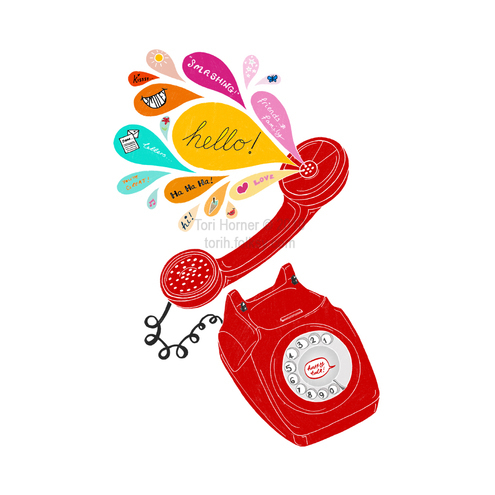 Format: Giclée Print, Limited Edition (1/850) on 310gsm thick 100% cotton rag. What do you want to do? 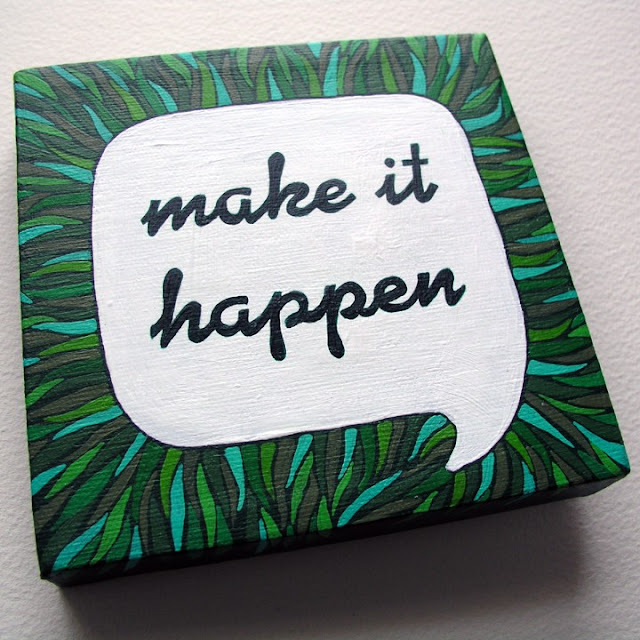 Whatever it is – "make it happen". It's as easy as that. This original acrylic painting is created on a 5 inch square canvas, 3/4 inch deep. As a graphic designer, robayre's sense of aesthetic relies heavily on design. She also holds a place in her heart for lawn and prairie grasses. 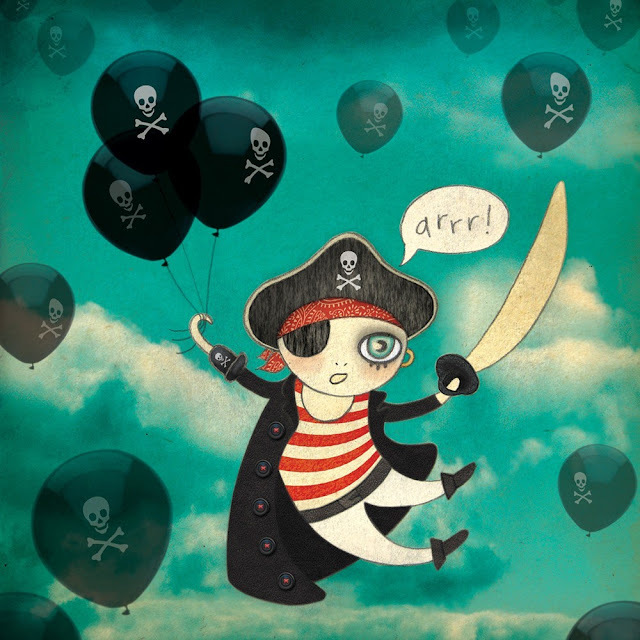 This piece uses both of those elements to bring you striking but fun artwork. I'm loving these nautical save the date cards. A beautiful swirly hand script printed on heavy weight cream linen card. Included is 50 personalised save the date cards and 50 coordinating envelopes. Colour, card, text and image can be adapted to suit your special day. 12 cm x 12 cm. 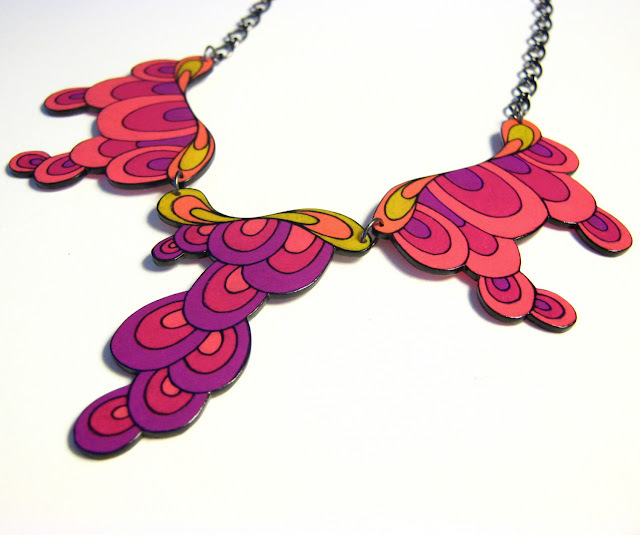 This necklace is very colorful! A hand cut white soft leather lattice with colored circles arranged in an interesting eye-catching composition. Smaller leather and suede circles are incorporated into the lattice. 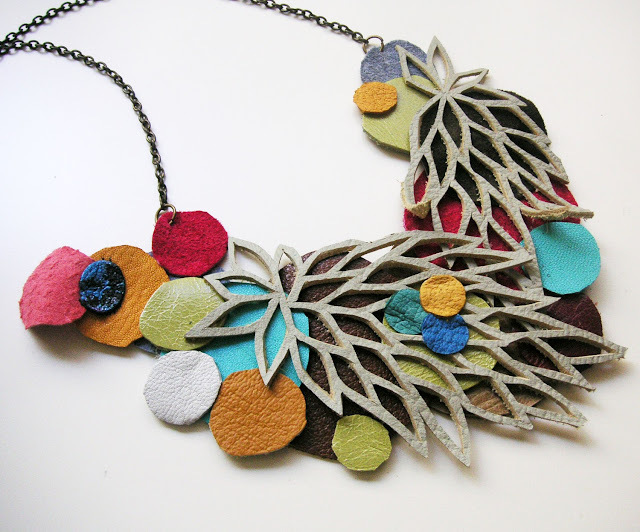 This warm and colorful necklace will accent any summer outfit beautifully! Leather part of necklace measures 4 inches long by 6 inches wide. The antiquated bronze necklace chain measures 9.5 inches long. "Happy talk, keep talkin' happy talk. Talk about things you'd like to do. You got to have a dream. If you don't have a dream. How you gonna have a dream come true?" Colourful A4 archival digital fine art print. Signed and dated by the artist. 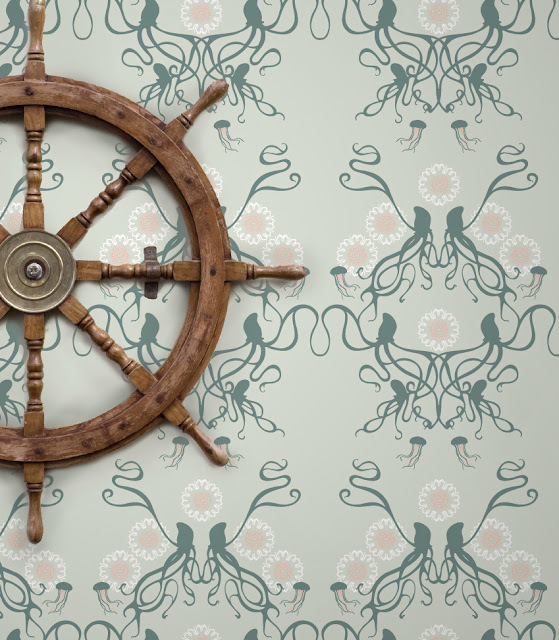 Captain Smith Handprinted Wallpaper by Grow House Grow! Captain Smith, the first and final captain of the RMS Titanic, has a fluid, jungendstil-inspired style straight from the Atlantic. All wallpaper is hand silkscreened with care, on clay-coated paper. Rolls come untrimmed and unpasted, can be gently wiped and are strippable. This picture shows the paper in 'Epoque', other colours are also available. This beautiful handpainted tapas plate is completely original and unique. It is dishwasher safe and is 3.75" across (10 cm) and about 1" deep (2.5cm). 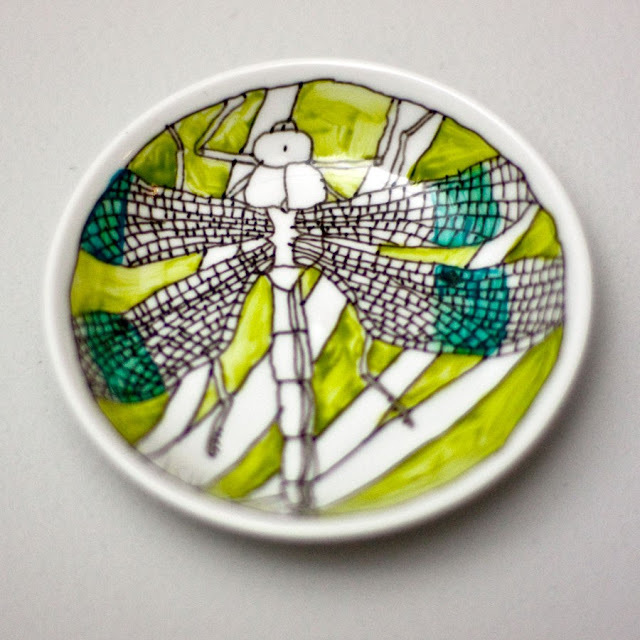 LoucheLab also have other fantastic designs available in their shop. These one-of-a-kind raindrop garlands are made from reclaimed felt from previously loved wool sweaters. 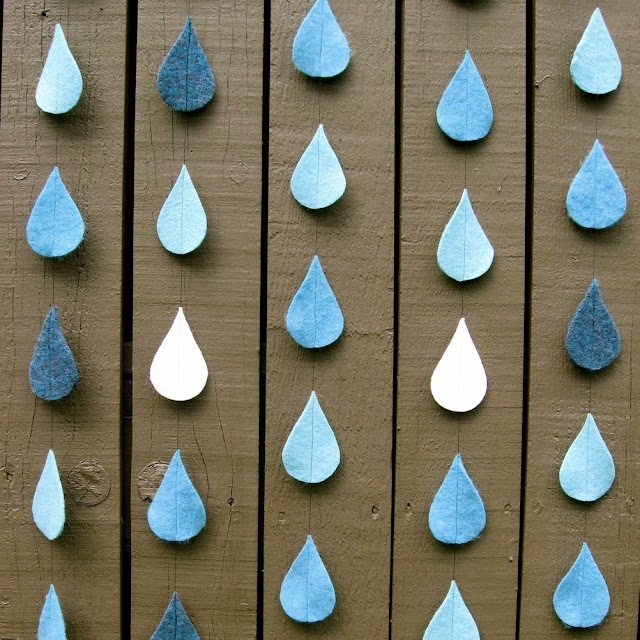 The raindrop garland is comprised of approximately 12 individually hand-cut rain drops sewn together, the raindrops are approximately 3 1/2" long. The garland is about 5' to 6' in length and is made from blue and aqua-marine coloured raindrops.